Most Americans make the same promise to themselves at the new year, and it doesn’t matter if you live on Main St. or Hollywood Blvd. We all want to lose weight, look fitter, and feel stronger, and the celebrity set isn’t any different from us, except that they do it under the watchful guise of millions. That’s why we want to celebrate the weight loss efforts of a few of these stars. As we close out the first quarter of the year, several have posted positive returns on those weight loss resolution investments! Not only are all of us making big changes and plans for the new year, but eDiets is doing so, too. One of the more familiar names in dieting, and one of the first to take the industry online, is finalizing a merger with the As Seen on TV brand. The initial announcement was made last fall and will soon complete a stock-for-stock buyout that will remove eDiets as a public company and make it a wholly owned subsidiary of the direct marketing giant. Rogai commented that eDiets has had its ups and downs, “sometimes more down than up.” He also described this merger as a smart business move that would save eDiets more than one million dollars a year by no longer being a public company. As for the meal delivery industry as a whole, it’s profitable and will continue to be so. Per a May 2019 report by John LaRosa’s Marketdata Enterprises, he told us they had “identified approximately 30 companies participating in the meal delivery business. We estimated the market’s value at $925 million.” At that time he also projected this segment of the diet market to reach $1.09 billion in revenue by 2019. Does going on a diet make CeeLo Green crazy? We hardly think so since he’s opted to go with a healthy plan. 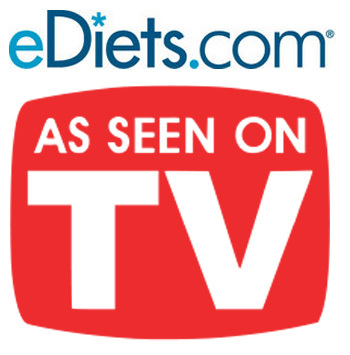 eDiets is one of the largest online meal delivery weight loss programs, and his new partnership with the brand will help bring it some notoriety in the new year as well as help slim down this bigger than life star. 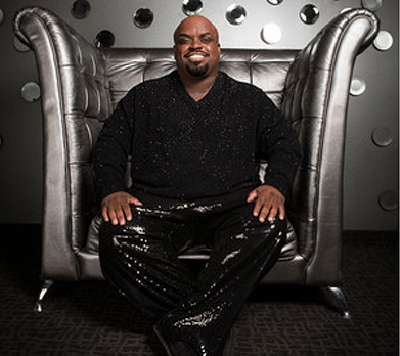 One of the hottest performers around, CeeLo Green has become a household name as he mans one of the judges’ chairs on The Voice. He’s a stout 5’7″, and while his exact weight isn’t known, it’s clear that it’s more than it should be. The big smile, booming vocals, and rocking personality detract your attention, but it’s something he thinks about. 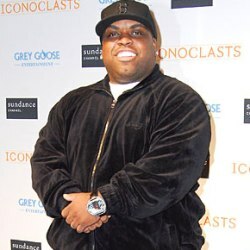 In an interview earlier this year, CeeLo told Rolling Stone that the weight-related deaths of his friends, rapper Heavy D and comedian Patrice O’Neal, were motivation enough to slim down and improve his own health. Acceptance of self is highly lacking in our society and Cee Lo’s self-assurance is admirable to a point. Each person is built differently and sometimes it’s difficult to accept that we can’t all look like svelte, suave rock stars. This seems to be no problem for Cee Lo who said, “…I’m not going to be a small person. I’m big boned. This weight, I can facilitate.” Although Cee Lo’s height and weight don’t seem to be listed anywhere on the internet, it’s apparent by looking at him that his BMI (not to mention his blood pressure and cholesterol) may tilt to the high side of the scale. 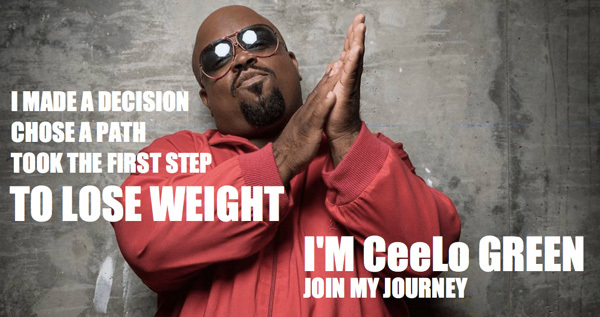 Cee Lo may not be lacking in confidence, but denial could be an issue that he fights with.